Little Spider Creations tested an idea in an old magi quest building at Broadway at the Beach in Myrtle Beach, SC for a haunted walkthrough. They built a spider room as a teaser for the rest of the project. We were contracted to theme out one room for a test to theme out the rest of the building. We chose to theme out this room as Little Miss Muffet who sat on her tuffet and also found this giant mutated spider! 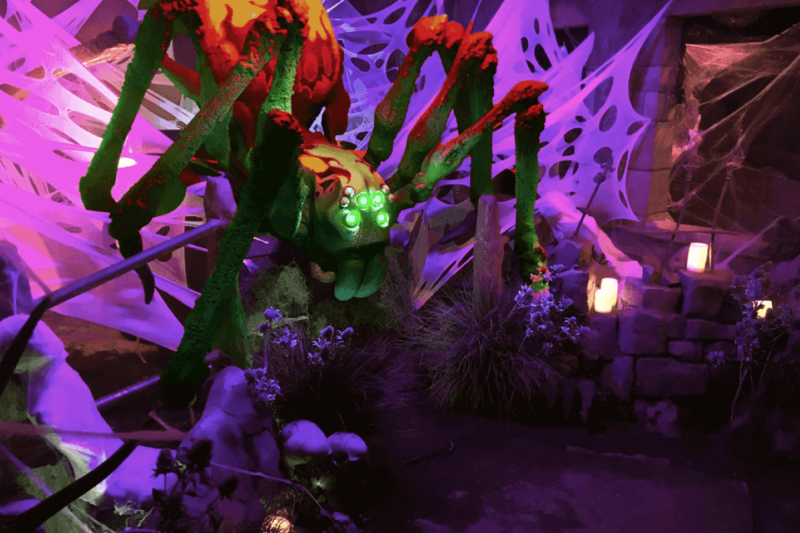 The room was fully themed with lights, sound, an animated spider, and a web wrapped Muffet.